Vote for the Riviera Nayarit, its chefs, restaurants and hotels—and you could win an eight-day, all-expenses luxury trip for two to Thailand! 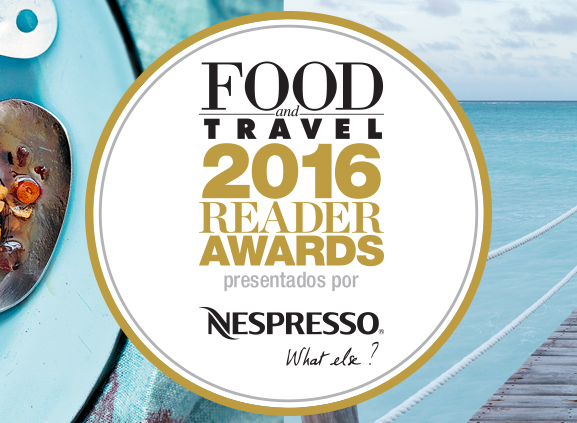 The polls of the Food & Travel Reader Awards 2016 are open starting this month through October 21, 2016 where you can nominate the best of tourism in Mexico—and the Riviera Nayarit is hoping once again for your support in various categories. The Food categories are: Best Chef, Best New Chef, Best Restaurant in the Interior of the Republic, Best New Restaurant, Best Established Restaurant in Mexico and Best Sweet Spot in Mexico. The Travel categories are: Best Destination in Mexico, Best Gourmet Destination in Mexico, Best Beach Hotel in Mexico, Best Hotel in a Magical Town or Colonial City, and Best Eco Hotel in Mexico. There are more categories, however only those mentioned above relate to the Riviera Nayarit. The participation of the readers in these awards has grown year after year, increasing from 15,500 in 2014 to 41,000 in 2015, a tendency expected to continue this year. Now in its third year, Food & Travel is giving away an eight-day, all-expenses paid luxury trip for two to Thailand with business-class airfare on KLM (Mexico-Amsterdam-Bangkok-Amsterdam-Mexico) with stays in special category hotels. Check out all the nominations, register and vote at www.foodandtravel.mx/awards.